In 1976, Don founded Simons Tax, Accounting, and Financial Services. 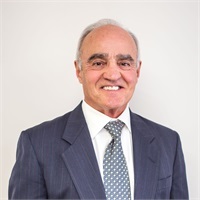 He has accumulated over forty years of experience in accounting, tax planning, estate planning, farm management, insurance, and investments. He received his Bachelor of Science Degree in Business from Fort Hays State University. He is enrolled to practice before the Internal Revenue Service. This enrollment makes him a part of a select few who can represent clients in all fifty states before all levels of the Internal Revenue Service. As an enrolled agent (EA), Don is highly qualified to assist clients with all tax matters, including tax planning, and estate tax planning. He is an Investment Advisor Representative with H.D. Vest Investment Services since 1988. He has his series 6 & 63 license. Don can transact business with clients and is registered in CA, CO, CT, FL, IA, IL, KS, MI, MO, MS, MT, NE, NM, OK, TX, and WY. He is also licensed in Insurance. Don is a member of the National Association of Tax Practitioners. He is most notably recognized for his expertise to combine investment strategies with tax savings.